At the finish line of a race, there’s usually tape on either side of the final corridor. Behind this tape the spectators stand and cheer as the runners near the finish line. I love it when the first person rounds that final corner. As everyone cheers, energy is imparted and the runner often breaks into a sprint, causing the crowd to cheer even louder. What’s beautiful is that everyone is cheered for – from the first person to the last. This image and these types of moments are in the mind of the author of Hebrews as he describes the finish line of the Christian life. In the Bible, therefore always points us back to the previous text. But this word is stronger than the one we normally see translated as “therefore.” This word in Hebrews 12:1 is actually three composite words: therefore, because, and accordingly. The author really wants us to look back at Hebrews 11 and remember the men and women of faith who saw the invisible, believed it, and lived as though it were true. These are the people who are cheering us on; these are the people who comprise our great cloud of witnesses. Hundreds of millions of people who have gone before us to be with Jesus now line that final corridor to cheer us on. For those of you who feel isolated in your walk with Jesus, know that you are not alone. Not only is Jesus with us constantly, but all of the saints who’ve gone before us are watching and cheering us forward. They are witnessing us as we run, but they also witness to us, reminding us that the race is runnable and beautiful! Jesus, perhaps I feel depleted today. Allow my ears to hear the cheers. When I close my eyes, let me see the crowds and their enthusiastic confidence that I can finish well. Amen. Do you want to be truly happy? Life is hard. There’s always a mountain to climb or an annoying person to deal with or a tragedy to overcome. 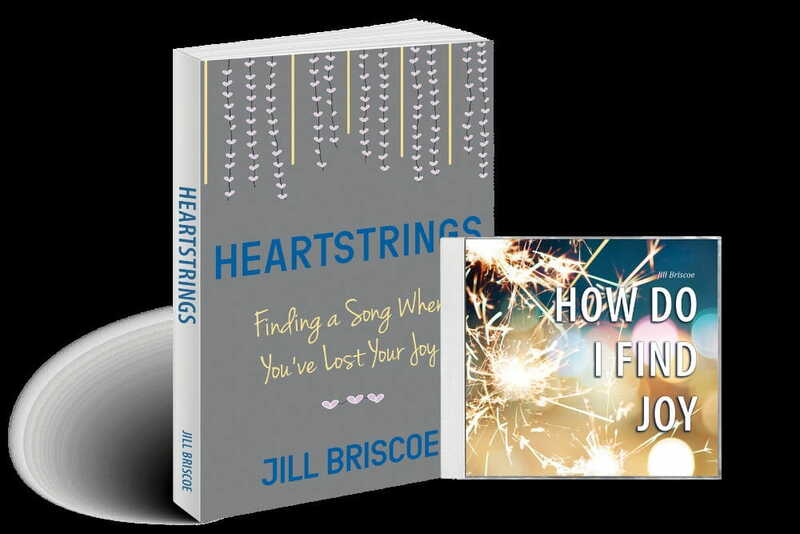 But Jill Briscoe wants to help you experience lasting joy and contentment by sending you her Heartstrings book and How Do I Find Joy? CD message.truth with the world!